Based on 684 customer ratings. 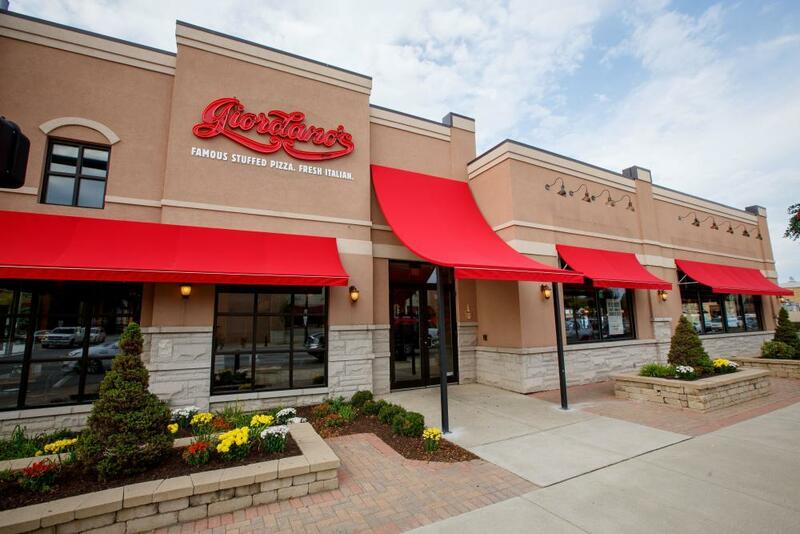 You can get a taste of Giordano’s whether you’re looking to eat out or dine at home. Visit our full dining room and let us do the work, or give us a call to place an order for pickup or delivery. We’re only a short drive away! Is there any aroma or taste that can match the smell of a Giordano’s pie? We have served the best deep dish pizza in Chicago for over 40 years, and now you can enjoy the unmistakable flavor of Giordano’s right in your Morton Grove home! At Giordano’s, we offer more than regular pizza. You can taste our old-world heritage and proud traditions in every handcrafted bite — that’s why Giordano’s is an authentic experience that Chicago residents and visitors alike cherish. Slow Baked Perfection — That’s the Giordano’s Difference Did you know it takes 6 pizza artisans to create just one Giordano’s stuffed pie? We carefully build layers of flavorful toppings and cheese between the flakiest, pie-like crusts. We slow bake everything together for a stuffed pizza that’s unlike anything you’ve ever tasted. From the Wisconsin mozzarella to the flavorful ingredients inside our pie, you’ll see why Giordano’s is the best pizza place in Morton Grove with every bite. Giordano’s also features delicious sandwiches, pastas, salads and appetizers on our full menu. If you’re gluten-free, ask to see our selections — there’s something for everyone at Giordano’s!